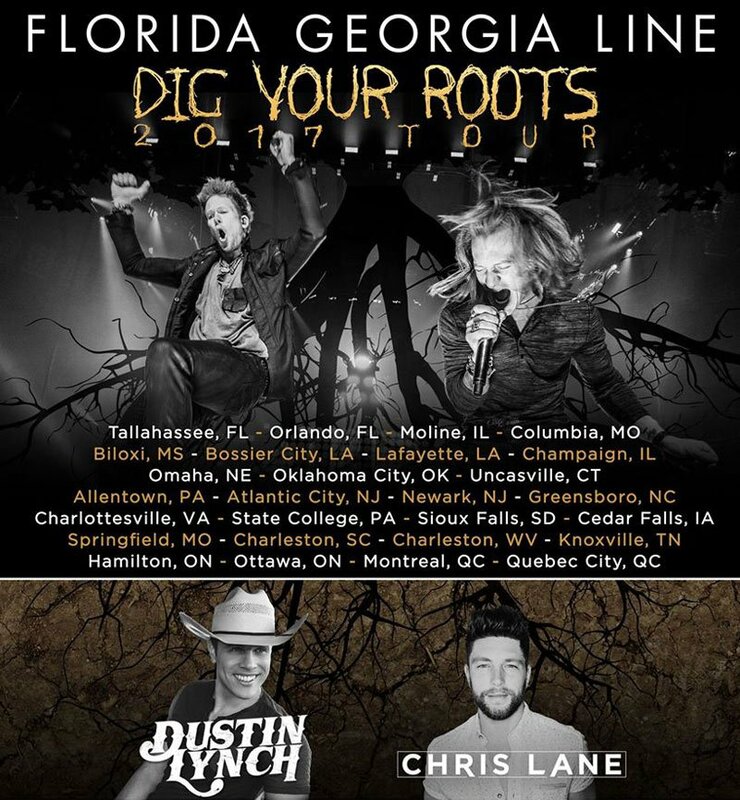 Check below for the latest list of Florida Georgia Line tour dates, links to look for tickets, plus some cool music videos. 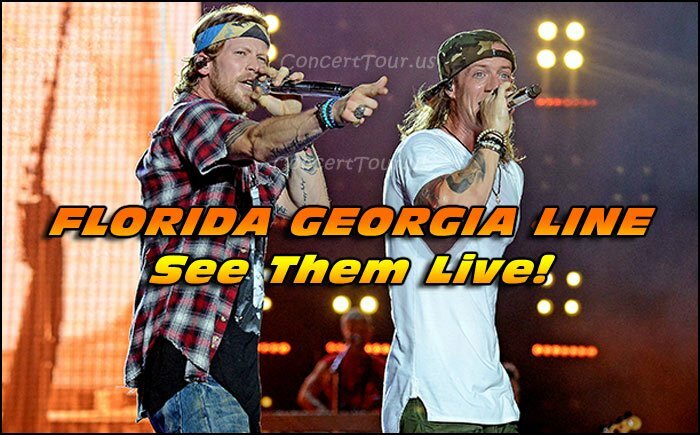 Don’t miss your chance to see country music’s Florida Georgia Line live in concert! Check back soon and for any added dates! MUSIC VIDEO – Florida Georgia Line – H.O.L.Y. 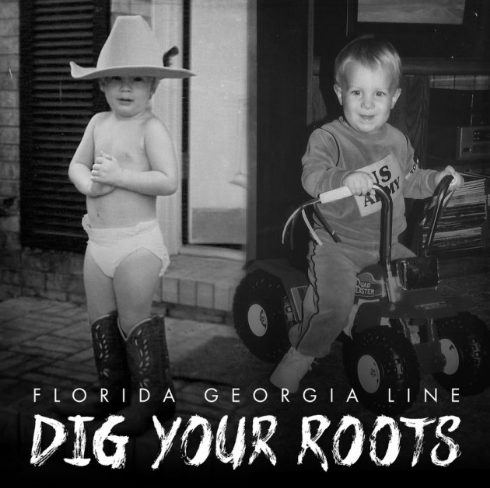 See the country music band Florida Georgia Line on their ‘Dig Your Roots’ Concert Tour!